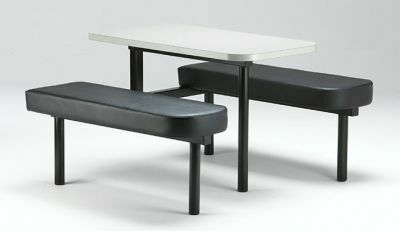 Fast food unit with upholstered benches in a choice of vinyl or fabric. The top is 25mm thick MDF laminated in Formica fundamentals. Strong steel frame with a choice of eight power coated finishes. 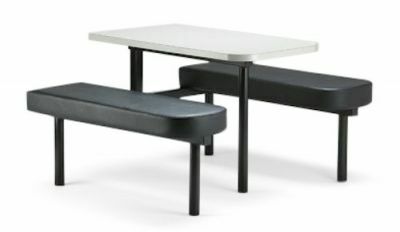 Sleek design fast food unit with thick laminate table, a fully welded frame and extra padded bench seating upholstered in a range of easy to clean faux leather options.